It’s done! Not only is it done, but it has been washed and worn out in public. 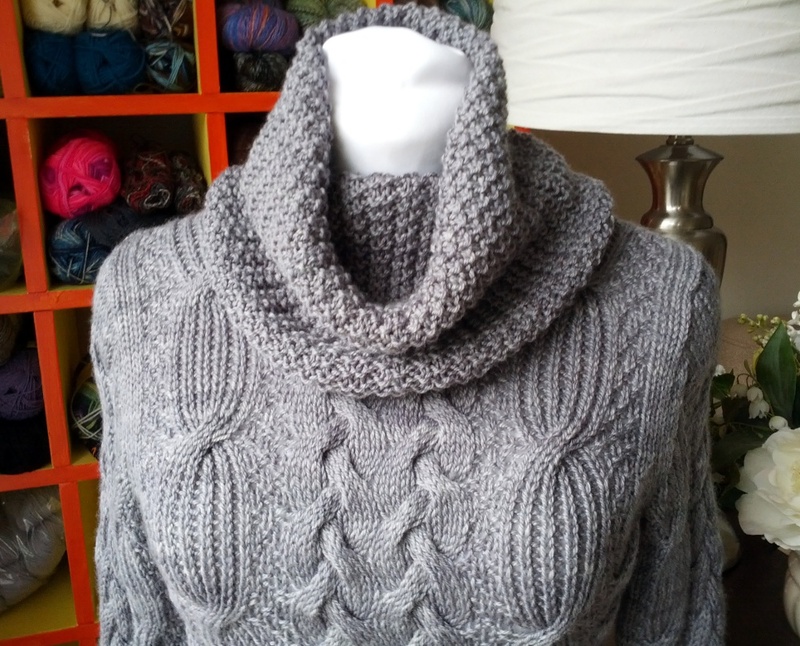 The knitters gave it a big thumbs up, so I was glowing the whole night. Here are the final photos for your inspection. 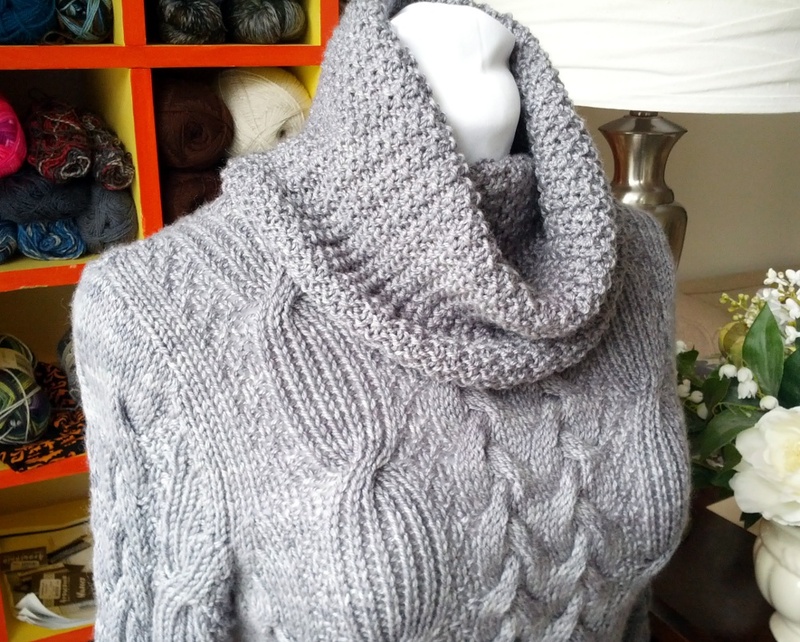 The back is worked exactly like the front, so the whole sweater is a snuggly cabled hug. The yarn I chose is a soft wool with a little silk content. The fabric is cushy without being too warm and drapey without being too loose. 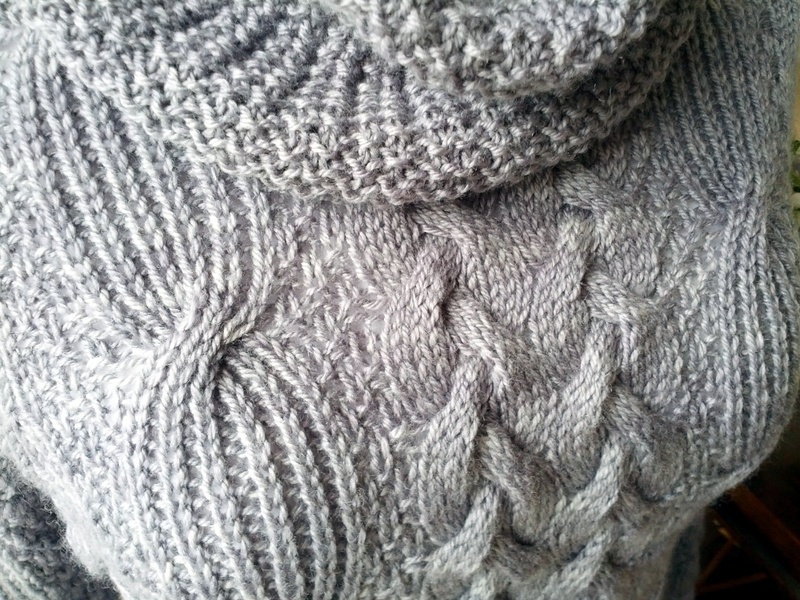 I’m considering this yarn/pattern pairing a definite success. What do you think? Could you see yourself snuggling into this sweater on a blustery winter day? 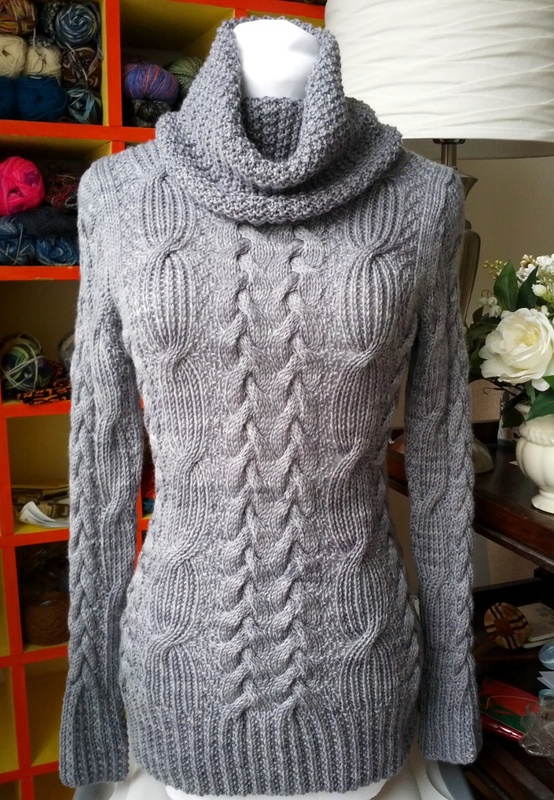 This entry was posted in Knitting and tagged cables, design, knitting, sweater, winter, wool. Bookmark the permalink.